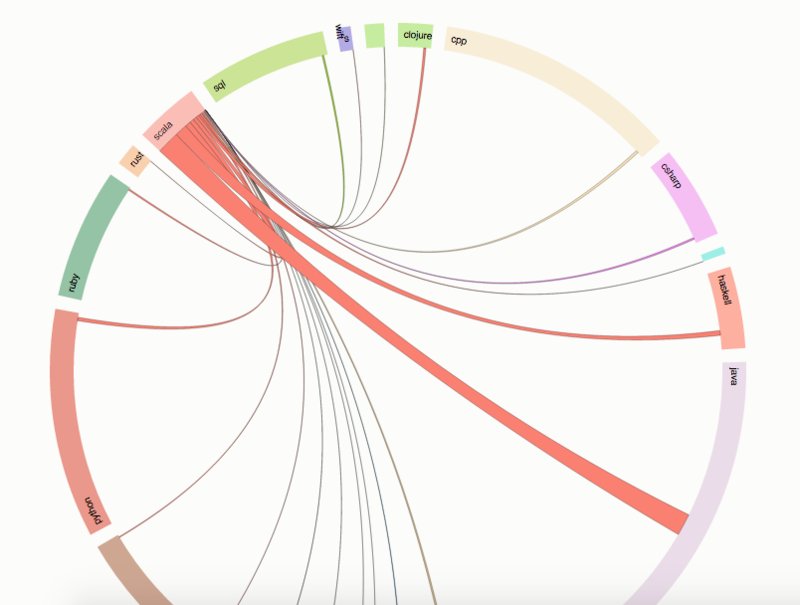 As the main contributors and commercial supporters of the Scala programming language, we’re obviously interested in where Scala appeared and how it compares to some others. Let’s find out! 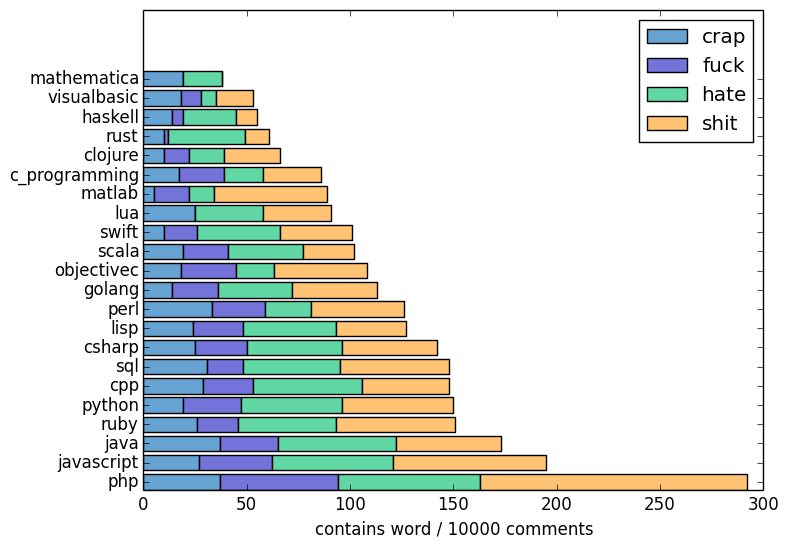 Let’s take a look at mentions of “Scala" that include other programming languages. 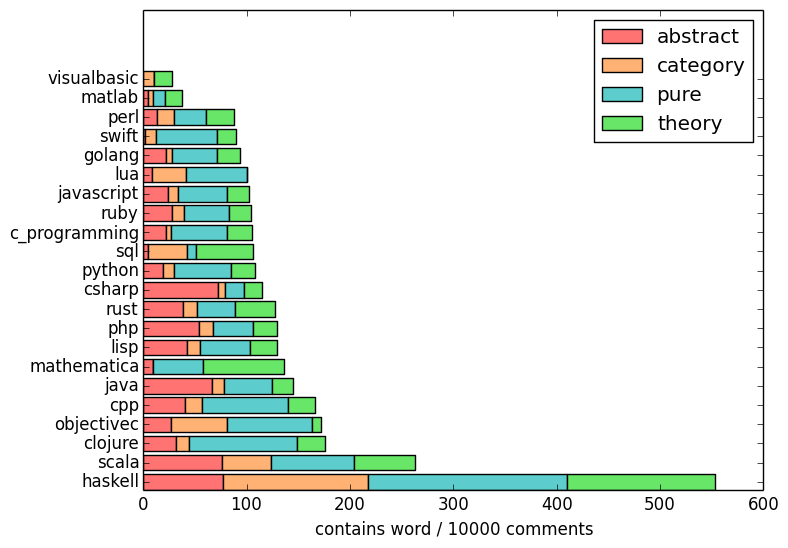 Visually speaking, “Java” gets the most mutual mentions, followed by Haskell, Python and Clojure. 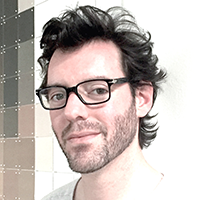 Interestingly, he also compared it to the TIOBE language ranking index, which has at times come under scrutiny for their research methodology of using Google/Bing/etc index rankings as opposed to Redmonk’s seemingly more “on the pulse” approach of comparing Github repositories with Stackoverflow activity. 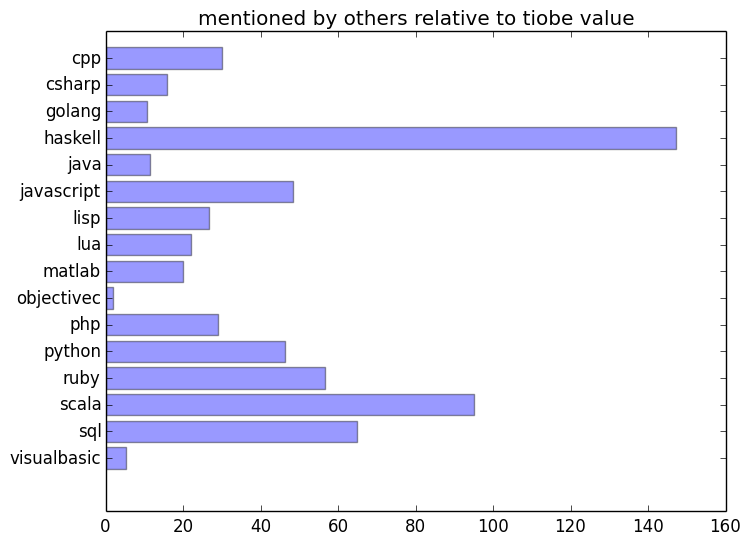 We can see that Scala is talked about by engineers nearly 100x more than the relative TIOBE index ranking would lead you to believe. WAT?! Haskell users, at over 140x, also appears to have a right to question how they appear in the index. 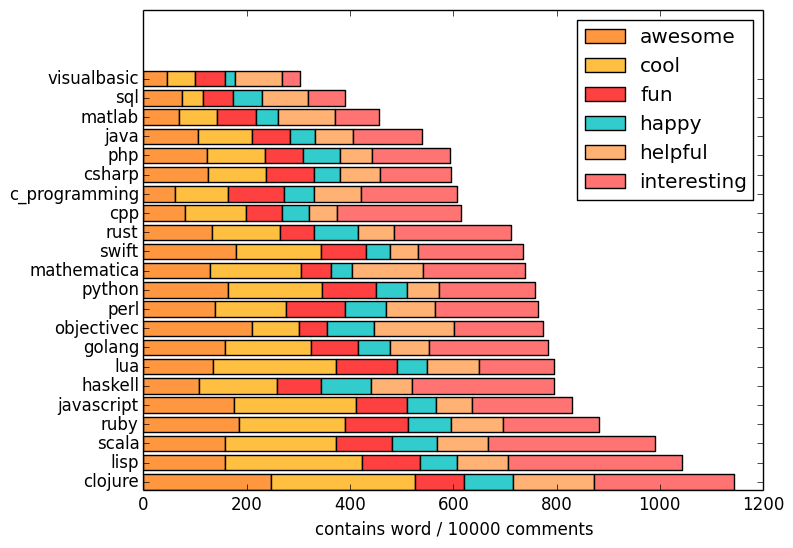 Regarding happiness and relative anger (cursing), functional programming languages like Scala, Lisp, Clojure and Haskell are high in the happiness quotient. Yet, are they really used? @TheOTown @typesafe Because nobody uses them for work!!! 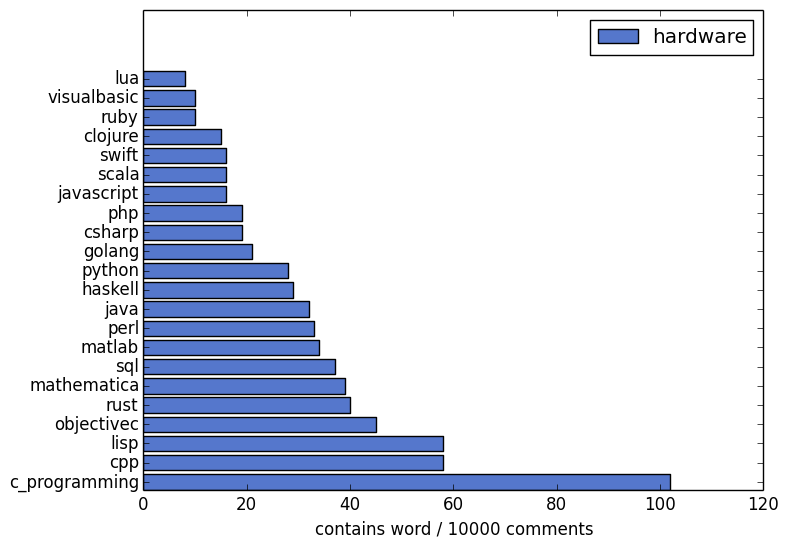 The words “Abstract” and “Pure” appear higher than the other two, and in terms of usage along with the word “hardware”, Scala is fairly low on the list at #6. I’m not terribly sure what this means, and the author himself appears to just breeze by it with a mere 65 words. If you have a better idea of what this means, leave your comments below please!